So, for the first book on my Reread Rollout, I decided to reread that life-ruiner of required school reading: The Giver. Kids either hate this book or love this book, but few, I suspect, ever forget reading it. BECAUSE IT'S A LIFE RUINER. 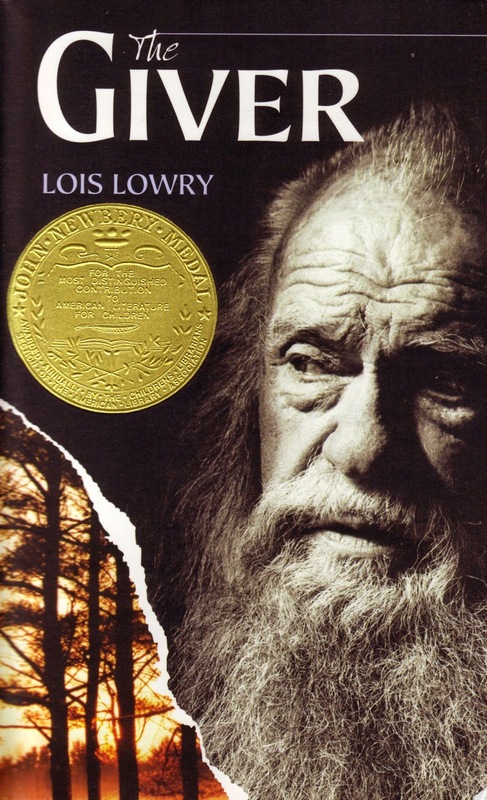 The Giver is the great-grandma of the current dystopian YA trend. Our hero, Jonas, is a 12-year-old boy who lives in an idyllic Community where everyone has their proper place. There is no starvation, no poverty, no strife, and once a member of the Community turns twelve, their career is chosen for them based on careful study of their interests and skills. Lowry uses only a few succinct chapters to craft the idea of this "perfect" world where everyone is taken care of. This lasts until Jonas turns twelve and is chosen to become the next Receiver of Memories, and has to watch as his perfect world is torn apart piece by piece. The Receiver's job is to remember all the messy, wonderful, unpleasant, chaotic crap the Community intentionally forgot/did away with in order to preserve order. As Jonas learns more, he eventually learns the darker ways in which the Community preserves order. Oh God, the scene with Jonas' dad and the box. THE BOX. If you've read the book, you know the scene I'm talking about. I'm pleased to say The Giver is every bit as potent as it was when I read it as a young adult. The recent deluge of Hunger Games and The Knife of Never Letting Gos and Divergents have done nothing to dull the surprising razor-slash of revelation halfway through this book. The Giver is dark and horrifying without being explicit, and ambiguous without being unsatisfying. I ached for Jonas - ridiculously young by today's YA standards - and everything he had to suffer and learn. And the decades have tarnished none of this novel's relevancy, either. The only thing scarier than what the founders of the Community gave up is knowing what the current members are giving up without even knowing it. It makes you think about the sacrifices we allow others to make for us in the name of safety and order. So yeah, The Giver ruined my life again. It still packs a punch.